The type of truck involved in an accident can be a direct correlation of the type of accident that occurs. Commercial vehicles are used for many different reasons and each reason can result in a different type of crash. Depending on the truck involved in the accident, there can be many different people or entities that are to blame for the crash. It is important to consult with an attorney well-versed in complex commercial litigation who has the resources necessary to pinpoint the cause of a crash, regardless of the type of truck involved, in order to hold those parties accountable for any losses incurred. If you or a loved one has been injured in an Arizona truck accident due to no fault of your own, the truck accident attorneys at Phillips Law Group may be able to help you pursue compensation for your damages. To begin exploring your legal options, contact our lawyers by completing the Free Case Review form to the right. Also known as a production truck, dump trucks are typically used in the construction industry for the transportation of loose material, like sand, dirt or gravel. Dump trucks are also used to transport garbage to landfills. Dump trucks are equipped with a hydraulically-operated, open-box bed hinged at the rear. The front of the bed can be lifted to allow the contents to be deposited (or dumped) on the ground behind the truck. Due to design, dump truck drivers have limited rear-view and are prone to backing up accidents. Garbage trucks, or Waste Collection Vehicles (WCV), are specifically designed to pick up small quantities of waste curbside and haul it to landfills and other recycling or treatment facilities. Tanker trucks are intended to transport liquids, dry bulk cargo or gasses. The largest tanker truck is similar in appearance and function to a railroad tank car. Due to the wide variety of liquids that require transportation, there are many different types of tanker trucks. These types of trucks can be insulated or non-insulated; pressurized or non-pressurized; and can be designed for single or multiple loads. A flatbed truck is equipped with an entirely flat, level body with no sides or roof. They can be either articulated or rigid. Flatbed trucks can allow for the quick and easy loading of goods and are often used to transport heavy loads that are durable and are not vulnerable to rain. These types of trucks are often used to transport construction equipment. They can also be used to transport abnormally-sized or shaped loads that require more space than is available in a closed body trailer. Also known as a tractor-trailer, a semi-trailer truck is an articulated truck that consists of a towing engine (the tractor) and a semi-trailer that carries the freight. Semi-trailer trucks are the most common truck used in the shipping industry. These types of trucks can often have control issues due to the two-part nature of their design. Many accidents happen when the trailer is traveling at a different speed than the tractor, causing the truck to jackknife and the trucker to lose control of the vehicle. An 18-wheeler truck is a semi-truck with 18 wheels. A panel truck is a windowless cargo van which is frequently used for the delivery of consumer conveniences. If you were injured in a Phoenix truck accident, regardless of the type of truck that caused the crash, it is critical that you seek medical attention as soon as possible. Severe injury symptoms are not always immediately apparent, and the longer you wait to see a doctor, the greater the chances that your injuries will worsen. After seeing a doctor, contact our truck accident attorneys at Phillips Law Group to see if we may be able to help you fight for the justice you may deserve for the losses you incurred from the collision. A truck accident can quickly bring unwanted chaos into your life. Rather than worrying about how you will be able to afford the expenses incurred from damages in the accident, you should be focused on recuperating from your injuries. 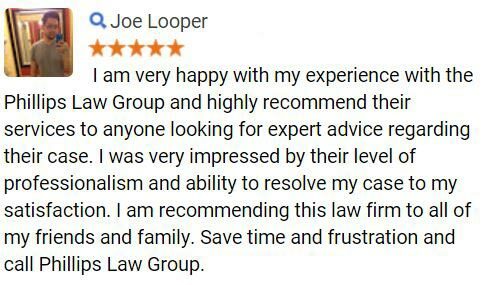 Let our attorneys fight to secure your financial stability during this difficult time by holding the responsible parties accountable for your losses. We urge you to contact one of our lawyers if you believe that you have reason to file a claim. Contact us to schedule a free, initial consultation. During a consultation, a member of our legal team will assess the merits of your potential claim and offer guidance on how to best pursue legal recourse for your injuries. 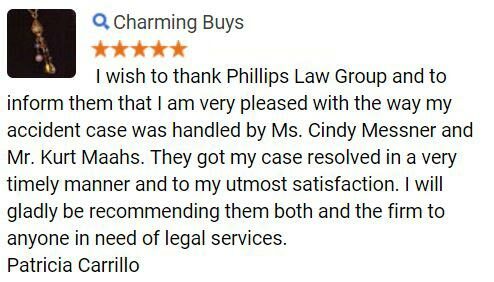 At Phillips Law Group, we believe that every Arizona injury victim deserves access to legal counsel, regardless of their financial status. To ensure this, our firm operates on a contingency fee basis. 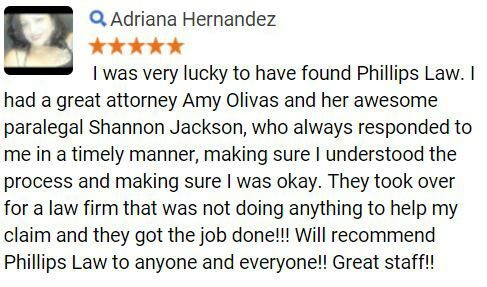 This means that if you choose to hire our firm, you do not owe us any fees until we obtain a favorable outcome for your claim, whether this is through a jury verdict or a settlement with other parties involved. With an office located in Phoenix, we are committed to fighting for the rights of Arizona residents who have been wrongfully injured in a truck accident that was caused by the actions or negligence of another. 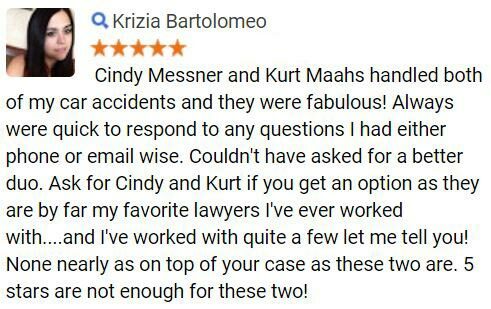 For more information on the legal rights which may be available to Arizona truck accident injury victims and their families or to schedule a confidential, no-obligation consultation with a member of our legal team, please complete the Free Case Review form on this page.